The 2018 Derryfield Cougar Classic will spotlight three of the top seven teams for D3 on the girls side along with two of the likely top ten individuals. On the boys side, it’s a bit more lopsided, with no ranked teams except top ten Mascenic. In the past, many of the smaller schools used the “Classic” as that last barometer before entering the championship season prior to States. Over the years, meets and their quality ebb and flow, sometimes affording glimpses into future races, something we’ll see on the ladies side, and sometimes inequity in racing like we’ll see on the guys side. The women’s race will be fronted by Portsmouth Christian’s Liza Corso. Corso is one of D3’s top runners and is bold in her racing tactics so expect her to be out front. Mascenic’s Quinn Aldrich has quietly been working her way up the D3 ladies rankings and seems to be poised to garner a top ten finish here in a couple weeks. Toss in the Kjehndal sisters of PCA, Sophie Callahan of Mascenic, Emma Pyles of Derryfield, and Newmarket’s Isabel Pentoney and you’ve got the preview of teams fighting to move on to the Meet of Champions out of Division 3. Give the nod to PCA in the girl’s race, with front running Corso leading the way. They won this race last year, however didn’t line five girls up at D3’s. There should be a good battle between Mascenic and Newmarket for the runner up spot, as well as an opportunity for either team to sneak into the top spot should PCA falter. On the men’s side, expect Mascenic to potentially run the table. It’s possible for their starting varsity to take the top seven spots here. Seeming to be running on all cylinders, the Vikings posted a convincing win the Belmont Invite last week and are poised to be the top team heading into the post season. 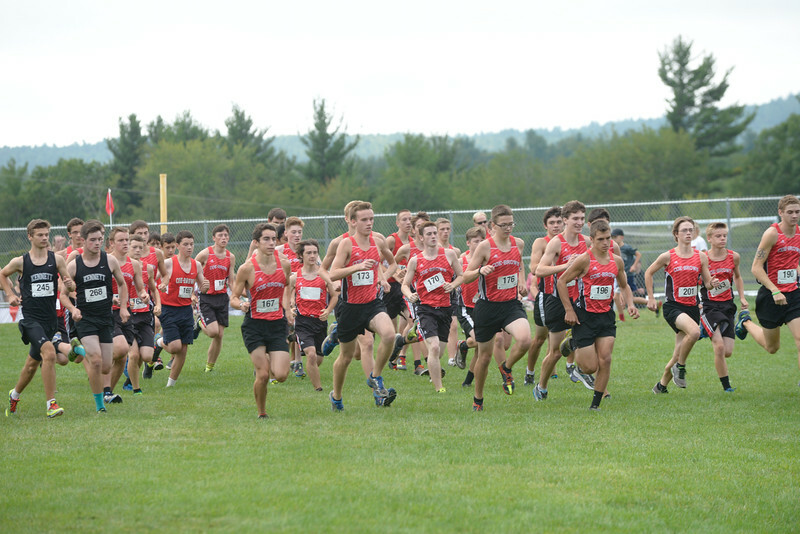 However, they were there in 2015 as well, and finished second to Kearsarge by one point at D3s. Look for them to run as a pack through the early stages of the race before they break out and look to run for the finish line. In addition to Mascenic’s top six of Landen Vaillancourt, Logan Thibault, Dakota Somero, Connor Traffie, Josh Movsessian and Robert McLain, expect Deryfield’s Matt Michaud and Gavin Kurdek, Newmarket’s Alex Kumph and Sam Frede, and PCA’s Luke P’Halloran to be in the lead pack. Gun goes off for 4pm on Wednesday for the ladies, gentlemen to follow. Oyster River Team Blog: New Coach Transition Athlete POV! 14th Battle of the Border Preview: NH v. Massachusetts! Let’s Go NH!